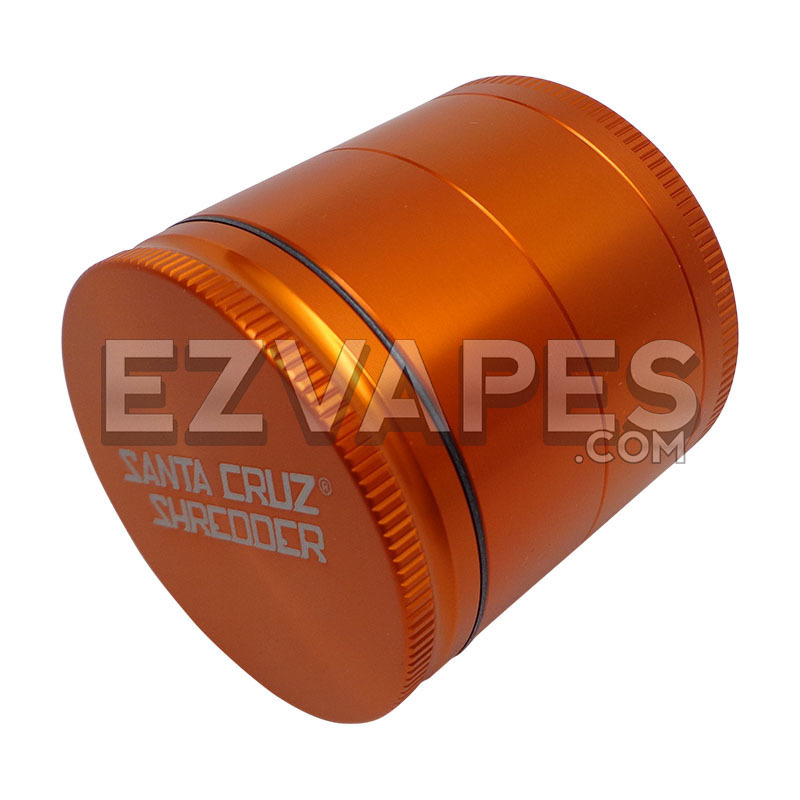 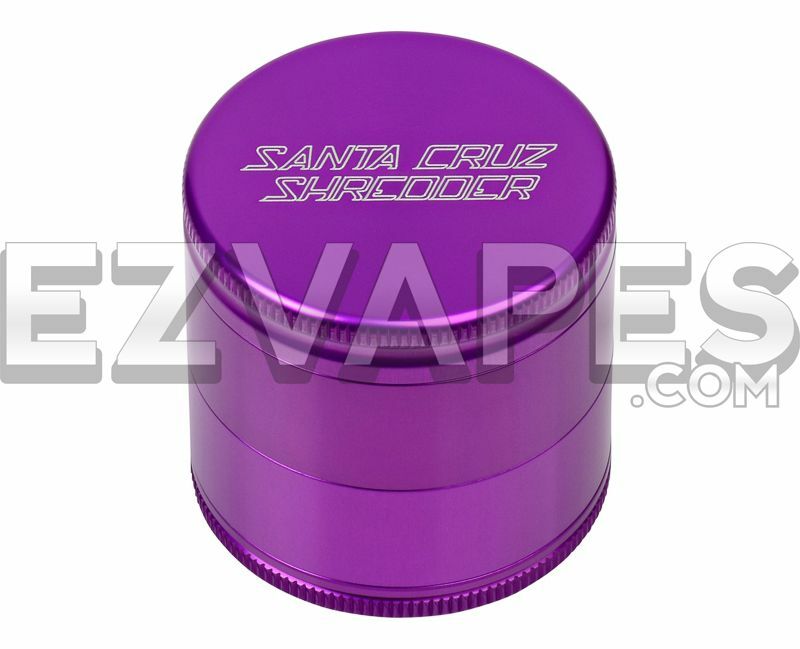 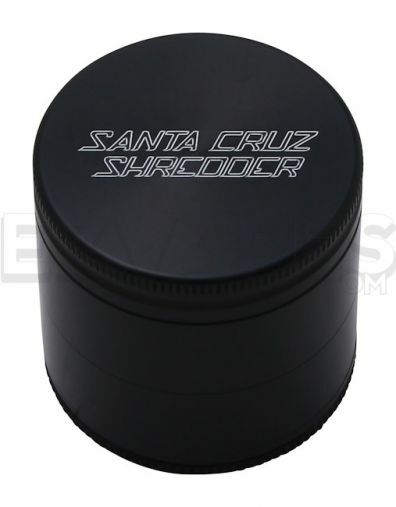 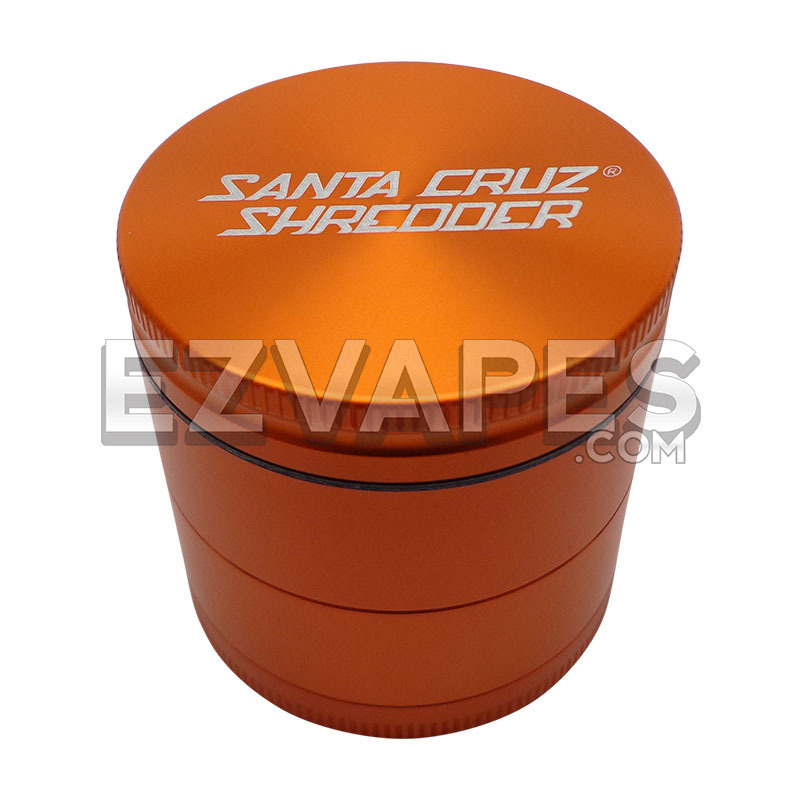 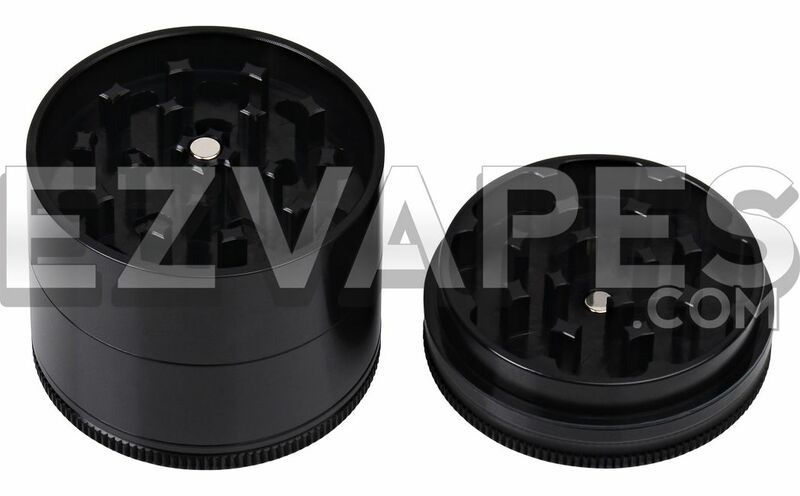 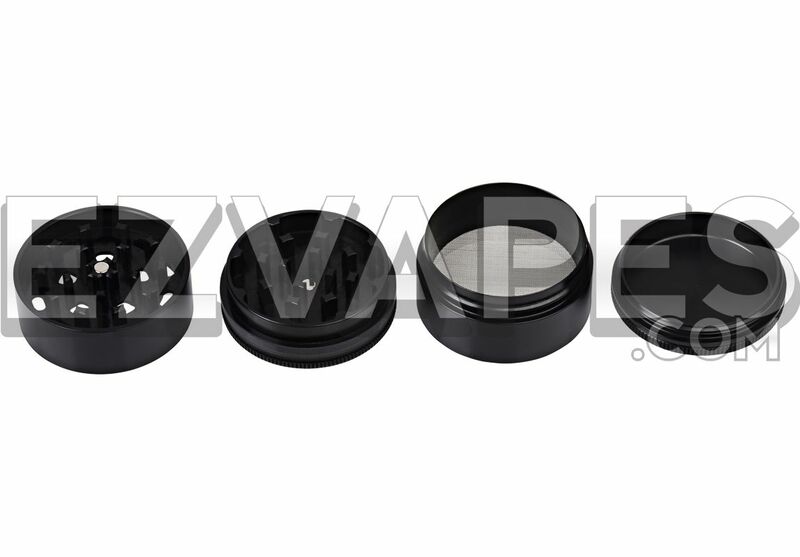 This Santa Cruz 4 piece grinder comes in a wide range of colors and is equipped with a storage compartment for leftover material and a stainless steel sifting screen for filtering pollen. 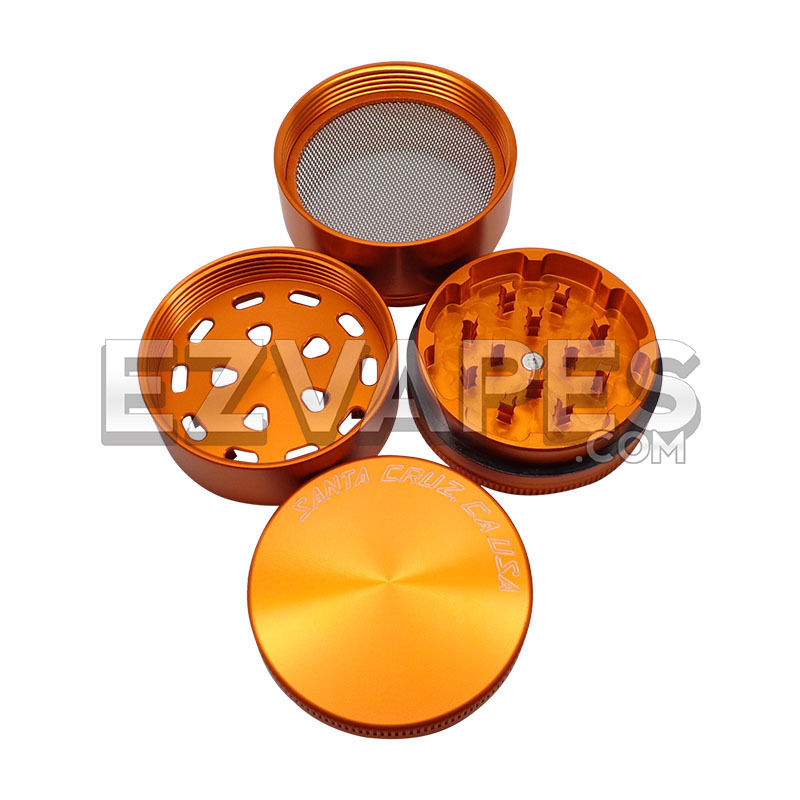 The sifting screen actually has the smallest micron size (space between threading on the screen) of any grinder out there. 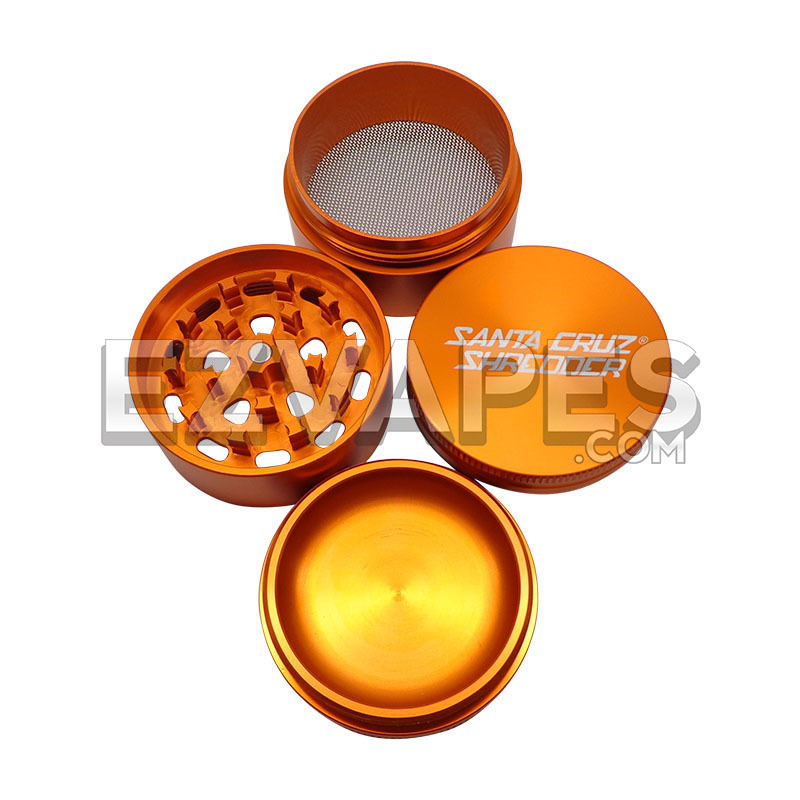 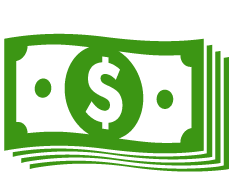 This offers you the best filtration and sifting possible. 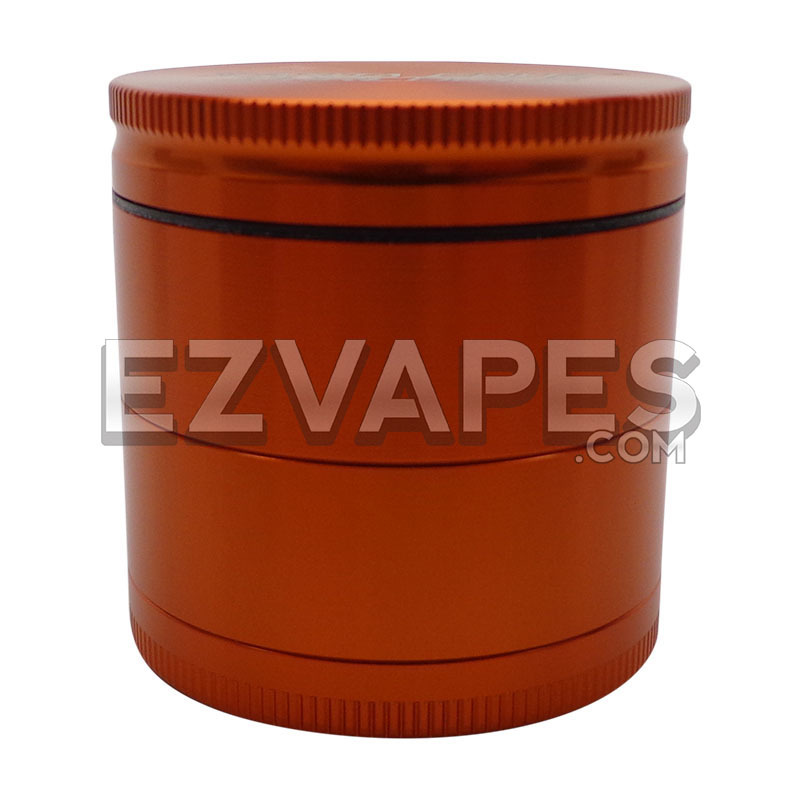 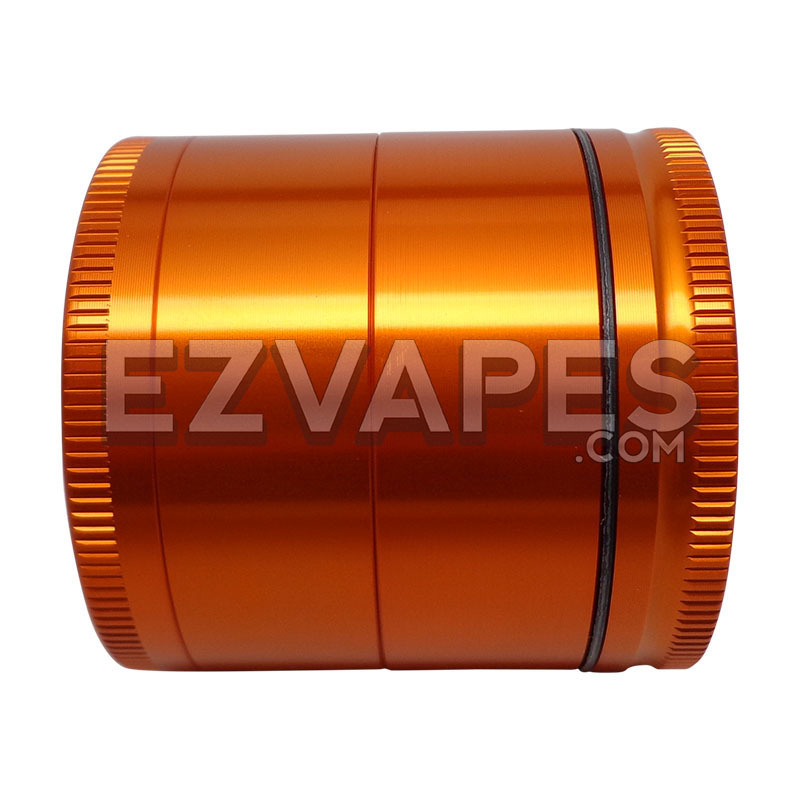 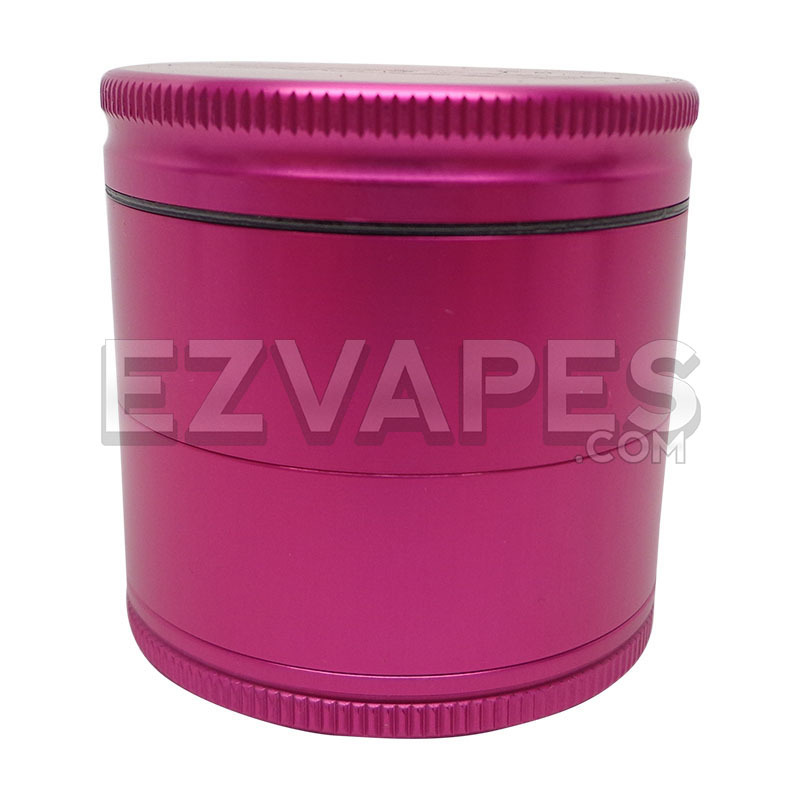 The anodized aluminum construction is some of the toughest around, resisting wear and tear and any type of chipping you might experience from the standard aluminum grinders out there. 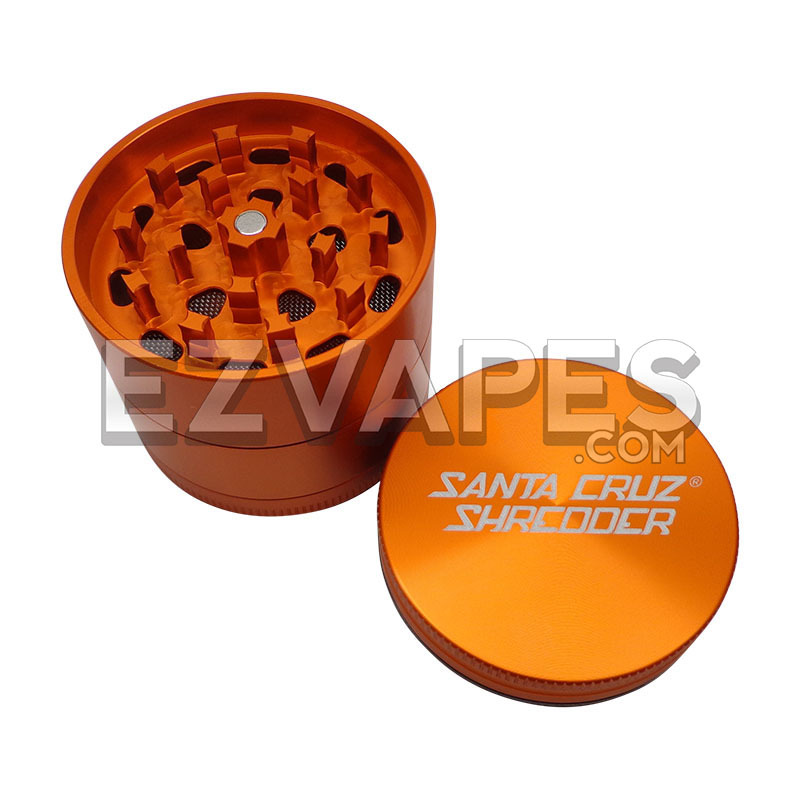 With every Santa Cruz grinder being manufactured in the US you can be sure these grinders are top quality. 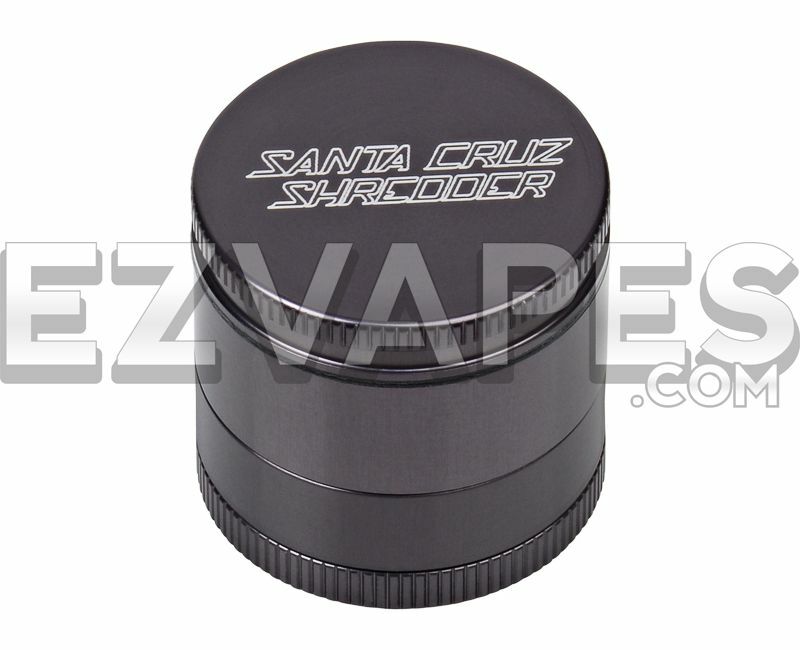 The 4 piece grinder comes in silver, red, or black color options. 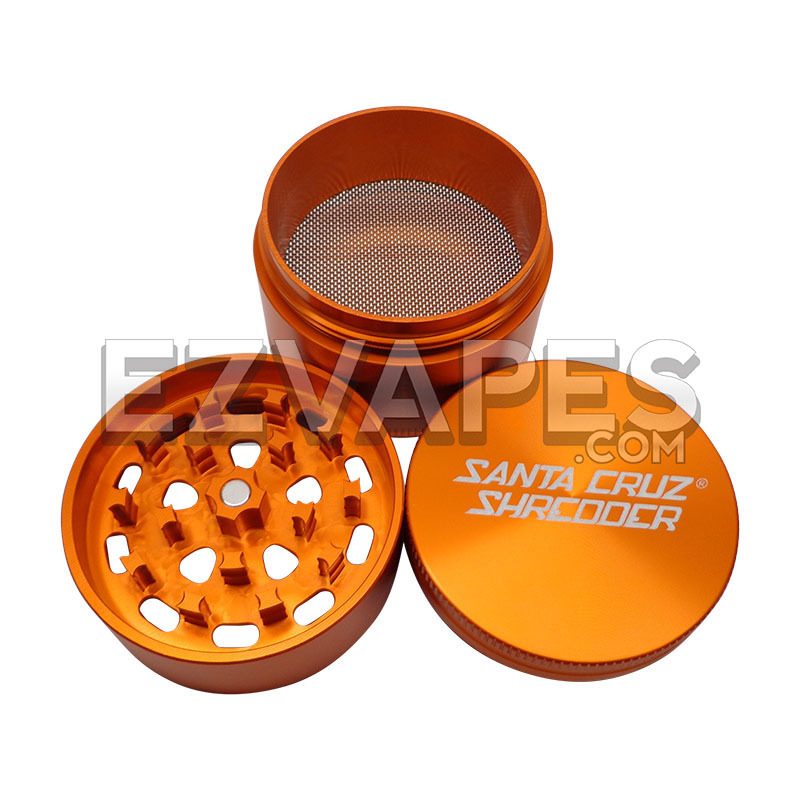 The medium measures 53mm (about 2.1") which will give you an average amount of space for grinding.